OPI Put a Coat On! 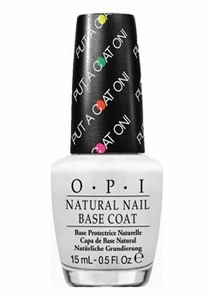 Natural Base Coat, NTN01, .50 fl oz. White base coat for nails to bring out the brightness in neon/bright colors.